Some people just love gadgets — they live for the thrill of new technology. What if you are not one of those early adapters with money to burn? Which smart home improvements will actually make a difference to your daily life? To answer that question, we put together this list of ways that smart home appliances and products make daily life easier and more fun. You hear a sound in the middle of the night. Is it anything to worry about? Without good information, how can you possibly know? You can answer that question conclusively by installing smart security cameras around your home. Unlike traditional security cameras, smart cameras can be controlled directly from your smartphone. That means you can quickly get the camera feed without getting out of bed. Speaking of security, why not protect your phone calls as well? 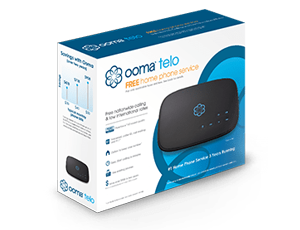 The Telo is protected by high quality encryption that makes it much more secure than traditional landlines. If you’ve tried Internet phone services in the past with mixed results, the Telo will impress you. It uses compression technology to deliver clear, high quality calls every time. Remote monitoring also gives you peace of mind when you go on an extended vacation. Stop worrying about your home security while you travel. Simply check your smart security camera once or twice a day for problems. Tip: If you hear an intruder at night, you might not want to get out of bed and fumble with a phone call for help. Instead, you can make an emergency call by voice and get the help you need. 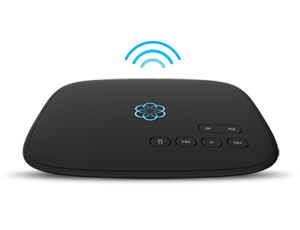 To make that happen, combine Amazon Echo’s Alexa voice assistant with Ooma. Find out more: connect your phone to your smart home. Tip: Are you going on an extended vacation? Stop worrying about your home security while you travel. Simply check your smart security camera once or twice a day for problems. Spending money on cooling and heating when you’re not home doesn’t make sense. To trim your monthly bill, look into getting a smart thermostat for your home. The best ones on the market provide remote control access by smartphone. If you are mainly interested in saving money, spend wisely. A $200 smart thermostat might take months to pay off in cost savings. How do you make this happen? Install a smart device like Nest, which controls your home’s heating and cooling. On its own, Nest can do a lot for you, like automatically controlling your thermostat. It can do even more when you combine it with Ooma. When you combine Ooma and Nest, you can check on your home’s temperature remotely on your smartphone and get a call if your smart alarms are triggered. Hearing loss is becoming a major problem that affects millions of people every year. In fact, the CDC estimates that millions of Americans suffer hearing related problems during their work. If you are hard of hearing or have a relative with that problem, smart home devices are here to help. For example, install a Philips HUE light with multi-color support. Next, use smart home recipes to program it. The payoff: the lights can flash certain colors when you get a call from specific numbers (e.g. “flash blue lights when the grandchildren call”). Welcoming a new dog or cat into your home is exciting. There’s just one problem. Some pets struggle to adapt to their new homes — it is a new environment and they don’t know what to expect. Smart home devices give you the capability to treat your dog. Take the Furbo, for example. This camera equipped product can be filled with treats. That gives you the ability to speak to your dog and give her treats. It’s the perfect product for high maintenance dogs. Extreme commuters log hours on the freeway each day. It’s a lifestyle many choose to land housing and jobs that meet their needs. Long hours at the office, commuting and other responsibilities make life difficult for working parents. Fortunately, smart home technology is here to help. Let’s say you have a nanny or a neighbor who checks on your children when you have to spend a long day at the office. How do you know if they have actually followed through or not? Using smart cameras with motion sensors, you can check to see if anybody is at home. In fact, if you put cameras outside your home, you will also be able to monitor the front and back yards. If you can’t see anybody home, you will have grounds for calling in help. Let’s be honest, sometimes it’s fun to show off! At your next party, you can impress your friends with your smart home. Use a voice activated assistant like Amazon Alexa compatibility to control other parts of your home. Even better: use Amazon restaurants by voice command to order takeout. It’s almost like ordering from the replicator on Star Trek! Which smart home upgrade will you start with? Upgrading your smart home starts with installing one or two devices. There’s no need to break the bank. If you have a smartphone and a few hundred dollars, you can go a long way.